Drop ceilings, also commonly known as suspended ceilings, are lightweight panels suspended from the ceiling beams by thin metal cables. Accessing electrical wiring, plumbing pipes or duct work hidden by a drop ceiling is as easy as lifting one of the panels. Because this is a suspended ceiling, the choices of lighting fixtures for a drop ceiling are somewhat limited. Modern room with different types of lighting. Recessed lighting, also sometimes called "can" lighting, features a light bulb inside a reflective metal container. 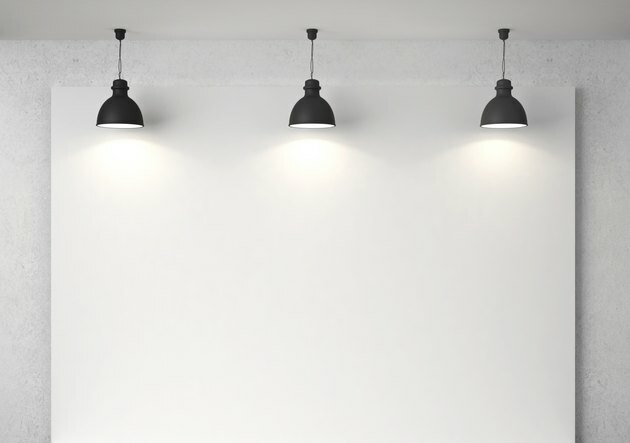 Incandescent recessed lighting puts off too much heat to be safely mounted in most drop ceilings, but halogen and compact fluorescent bulbs will be safe, says Armstrong's lighting website. The metal canister for the light must be supported by a wooden frame placed above the metal grid that holds the ceiling tiles. Recessed lights have lenses, or openings, at the end of the canister, which must be installed level with the ceiling tile surface. 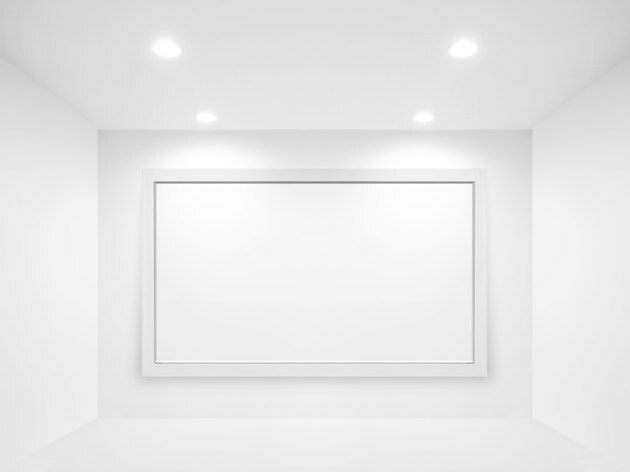 Canister lights are a good alternative to fluorescent light panels, but they require more work to install, and more lights will be needed to brighten a room. Light-weight fluorescent light fixtures have become the most common and popular choice for use in drop ceilings, because they can be mounted onto the same metal supports that hold the ceiling panels. The large, rectangular 2-by-2-foot or 2-by-4-foot fluorescent fixtures fit perfectly into drop ceiling supports, according to Al's Home Improvement Center. The ceiling panels come in a wide variety of sizes, making it easy to find a light fixture that will fit seamlessly into your drop ceiling supports without any modifications. It is possible to mount practically any regular surface-mounted light fixture behind a drop ceiling. Surface-mounted fixtures are installed onto the surface of the ceiling, and no parts are recessed into the ceiling as with recessed or fluorescent fixtures. 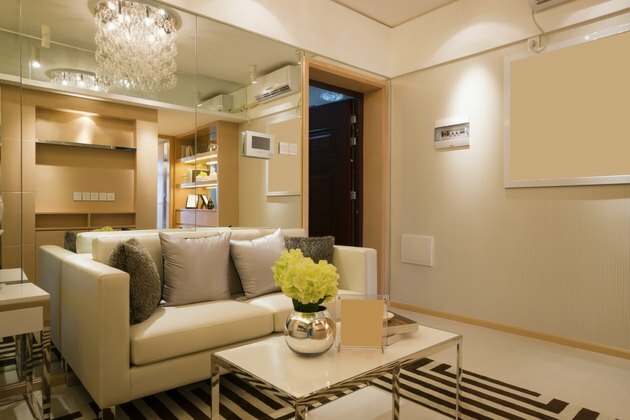 Pendant lamps, track lighting and basic glass fixtures are all examples of this type of lighting. The fixture must have its own support system that uses cables or metal bars and chains, attached directly to a ceiling joist, according to Renovation Headquarters. The ceiling joist has the strength to support a regular light fixture. The framework of a drop ceiling is not intended to bear weight. Trying to attach a fixture to a ceiling panel in a drop ceiling would bend or break the panel, and could easily cause the whole ceiling to detach from its supports. With the right support system, even heavy fixtures such as lighted ceiling fans, chandeliers and track lighting can be added to a room with a drop ceiling.